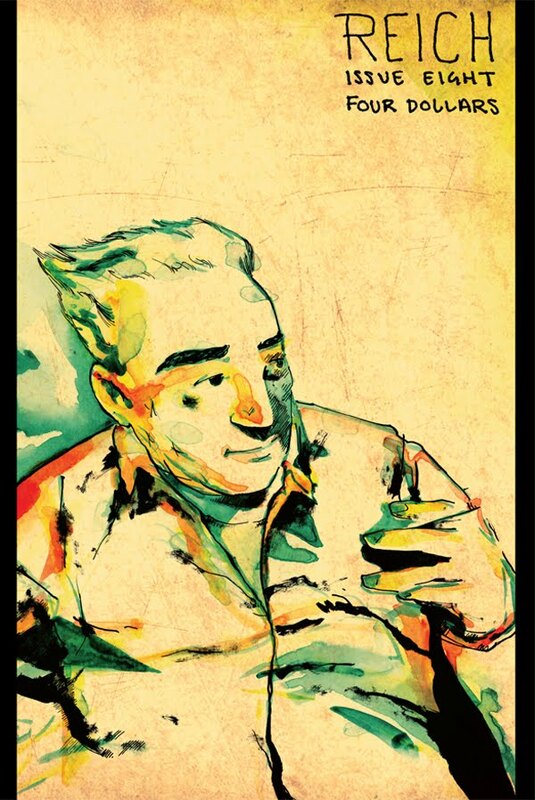 Elijah Brubaker’s superb comic exploration of Wilhelm Reich’s remarkable life and work comes to perhaps its most critical stage, when his scientific efforts came under the scrutiny of both the American press and its government in the late 1940s. The benign, almost complacent figure that Reich cuts on the sepia-toned cover gives no clue to the chaos that is about to engulf him; it acts as a final moment of safety before the world descends on him. 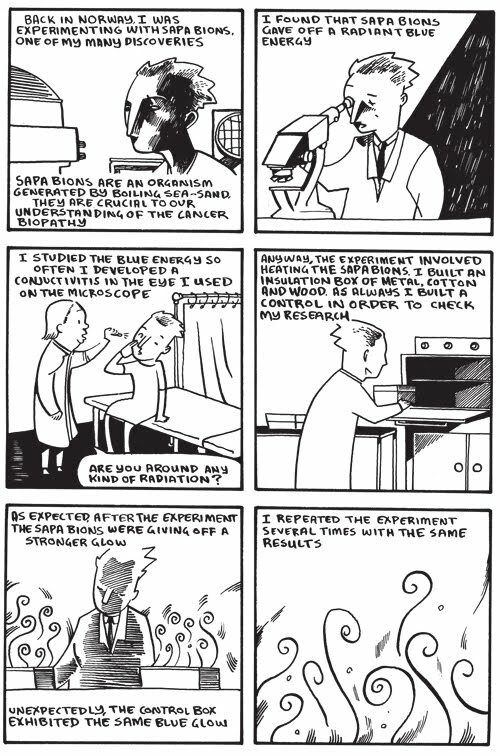 As Reich continues to outline his postwar experiments - into cancer research, his 'discovery' of 'bions' and later development of 'Orgone energy accumulators' - he is at pains to explain himself fully, and corrects Brady when her inevitable sensationalist instincts manifest themselves. As if his pride came before the fall, Reich cannot seem to recognize the danger he has placed himself in. We as readers sense immediately that he is about to become the victim of a monumental hatchet job by Mildred Brady, via scathing articles in Harpers and The New Republic in 1947. As ever, pride comes before a fall. 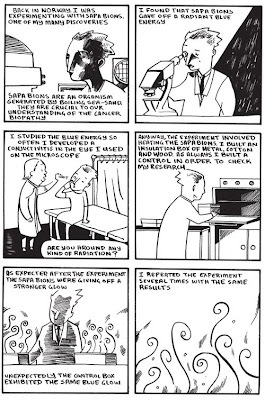 The panels devoted to how the Federal Trade Commission and the Food and Drug Administration first came to hear of Reich’s activities bring the restrictive measures of US postwar policy into very sharp focus, reducing Reich to nothing but a “quack” even before they deign to investigate him. Brubaker’s marvelously evocative artwork manages to convey a dazzling array of scientific detail and biographical exposition with skill and economy, especially the page recalling his arrest and imprisonment under the auspices of the FBI during the Second World War. So much ground is covered, from the birth of his son Peter (later the author of “The Book of Dreams), his reconciliation with his daughter Eva, and his ill-fated association with Albert Einstein, whose conclusions regarding Reich’s breakthroughs with bions were less than encouraging, and deeply damaging to Reich. The celebrated doctor’s intransigence with members of his own family, with the visit of Eva and their fractious conversation regarding his former wife and friends-turned-enemies brilliantly demonstrates just how isolated Reich is, and how unprepared he is for what will follow. The arrival of FDA agents at his front door in the issue’s final panel coldly prefigures the storm of controversy that will undoubtedly be the focus of issue nine. That issue is awaited with baited breath and whitened knuckles.